Fill in your details below and we will let you know within 24 hours if we can get The No Thumb Challenge to you with haste! 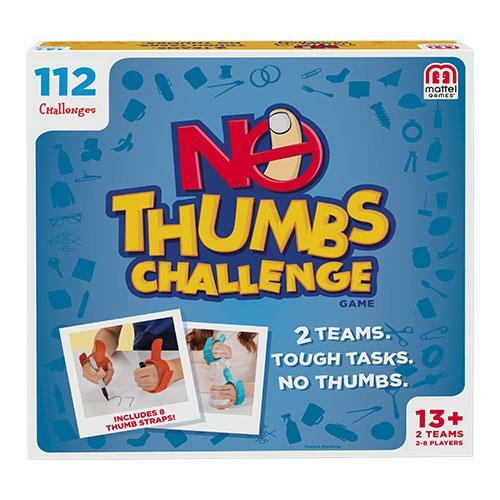 No Thumbs Challenge is the hilarious game that calls for fast-moving teamwork creative thinking and maximum dexterity as you and your team members try to execute simple tasks without the use of your thumbs! Using thumb straps, players “attach” their thumbs to their palms and then try to perform tasks like opening a water bottle, applying lip balm, or tying a tie.